Grounding adds protection against electrical shock by ensuring that YOU or any other individual does not become a path through which electricity moves. This article reviews the reason for grounding electricity and why it is such an important safety and home electrical code compliance issue. 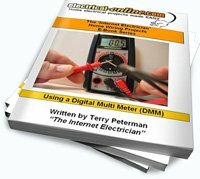 When working around electricity, there are some critical fundamentals that you need to be aware of. Electricity ALWAYS seeks the quickest path back to its source or to the earth. The process of grounding adds protection against electrical shock by ensuring that YOU or any other individual does not become a path through which electricity moves. Older homes may have polarized, rather than grounded receptacles. Replacing polarized receptacles requires adherence to code rules regarding proper grounding. If you live in an older home (pre 1960’s), you may have “polarized”, rather than grounded receptacles. Polarized receptacles operate on a 2-wire vs. a 3-wire system. What is the “Ground Wire”? There are some significant differences between the neutral wire and the ground wire. The neutral, or white wire, is responsible for transporting electricity back to a power source after it has passed through a load, or the device using the electricity (such as a light, fridge, stove, etc.). The ground, or copper or green wire, protects the system through the means identified above. As a rule of thumb, remember that the ground wire should ALWAYS be the FIRST thing you hook up, and the last thing that you disconnect. This entry was posted in Safety and tagged 2-wire, 3-wire, black wire, code compliance, electrical shock, electricity, electrodes, GFCI, green wire, ground, ground fault circuit interruptor, ground plate, ground rod, ground wire, grounded, grounded receptacle, grounding, home electrical, hot wire, household wiring, path, polarized, polarized receptacles, red wire, shock, white wire. Bookmark the permalink.